The purpose of the contest is to provide more opportunities for students to demonstrate their linguistic and cultural talents, and showcase their interest and achievements in learning Chinese language and culture with help from their teachers and parents. This annual event is organized by Confucius Institute at San Francisco State University and Sand Francisco Unified School District. It is sponsored by Confucius Institute Headquaters/Hanban and Education Office of the Chinese Consulate General in San Francisco. A few of our students registered for this event on March 18 - 19, 2017 at Roosevelt Middle School (460 Arguello Blvd, San Francisco, CA, 94118). Two of our students took placement in this contest. There is an award ceremony held on April 14, 2017 at Roosevelt Middle School followed by an award banquet held at the Chinese Consulate General's office in San Francisco. Please congratulate these student for their great accomplishments. Every year the first place winners in our EBCS Academic Contest will represent the school at the ANCCS Academic Contest (北加州中文學校聯合會2017年學術 比賽). This year we have 11 students representing East Bay Chinese School. 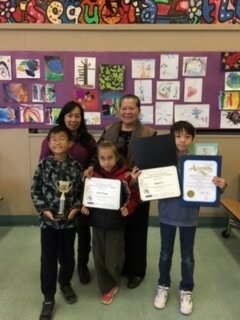 Congratulations to the following students for taking placement and representing East Bay Chinese School. We are proud of you. Keep up the good work! These students will be getting a tuition award certificate ($100 for 1st place, $50 for 2nd place, and $25 for 3rd place) toward next year's tuition enrollment. 2017 EBCS Academic Contest Winner List. Click here. 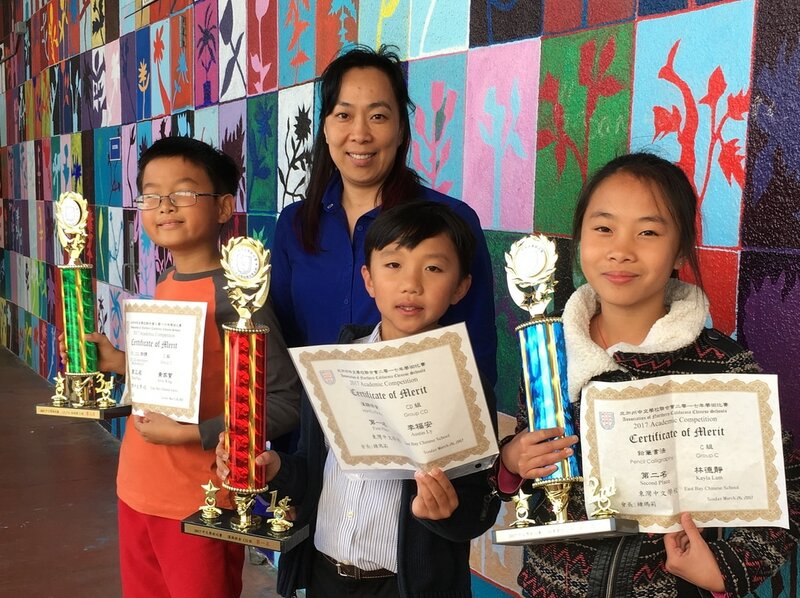 This year a handful of East Bay Chinese School students in the 3rd Grade Class participated in this Academic Contest on October 15, 2016. There were over 520 participants. This is a free event and is open to the public. An award ceremony was held on November 5, 2016 to hand out trophies, award certificates, and a colored program with the names of the winners and photos of the winning category . Three of our students took placement in this event. Please congratulation them for their accomplishments. Next year, East Bay Chinese School will push to get more students involved in this contest hosted by the Confucius Institute of San Francisco State. Award Ceremony: November 4, 2017. ​Alvin Wong featured in the The 42nd CLTAC Mandarin Speech Contest 第四十二屆CLTAC 中文演講比賽 at Lowell High School on April 22, 2017. Chinese Poem reading "古詩兩首 by Alvin Wong". Alvin Wong featured in the San Leandro Times - January 19, 2017. Click here to view article.